SHORTLISTED FOR THE ORWELL PRIZE, THE JHALAK PRIZE, AND THE BREAD AND ROSES AWARD. Saturday, 23rd November 2013. It was just another day in America. And as befits an unremarkable day, ten children and teens were killed by gunfire. Far from being considered newsworthy, these everyday fatalities are simply a banal fact. The youngest was nine; the oldest nineteen. None made the news. There was no outrage at their passing. It was simply a day like any other day. Gary Younge picked it at random, searched for the families of these children and here, tells their stories. 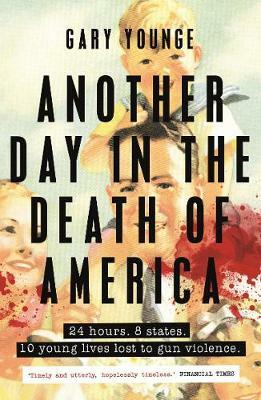 Another Day in the Death of America explores the way these children lived and lost their short lives, offering a searing portrait of the vulnerability of youth in contemporary America.